BinaryTilt is a binary options broker operating out of London. The BinaryTilt brand is owned and operated by Chemmi Holdings Limited (Company number: 9870892). BinaryTilt operates with a proprietary platform and commenced operations in 2013. BinaryTilt was voted the 2016 Best Broker with Overall Customer Satisfaction by BinaryOptionsWire, an independent binary options news organization. BinaryTilt is relatively new in the industry, but it is already building a solid reputation for itself in the binary options market. We present a BinaryTilt review, covering various aspects of this non-scam binary options brokerage operation. BinaryTilt has a strong presence on mobile. The company presents mobile trading apps for traders to trade binary options with. The mobile apps can be downloaded from the Google Play store and are compatible with Android smartphones and tablet devices. Traders get a binary options demo account, which is restricted to those who have made deposits into a BinaryTilt demo account. The demo account can only be used for a limited period of time. For the first time, a binary options broker offers the opportunity to make deposits and withdrawals using Bitcoin. BinaryTilt is a relatively new binary options platform, so it may be too early to give an objective analysis of whether the binary options brand is performing according to expectations or not. In a market with little regulation, there has been a hefty influx of brokers who are more or less bucket shop companies. Thanks to strengthening regulation, many of these brokerages are closing shop. However, others from other jurisdictions are taking their place and this is where BinaryTilt has found itself. There are several trade types, which allow the trader the flexibility to bet on different kinds of binary options. 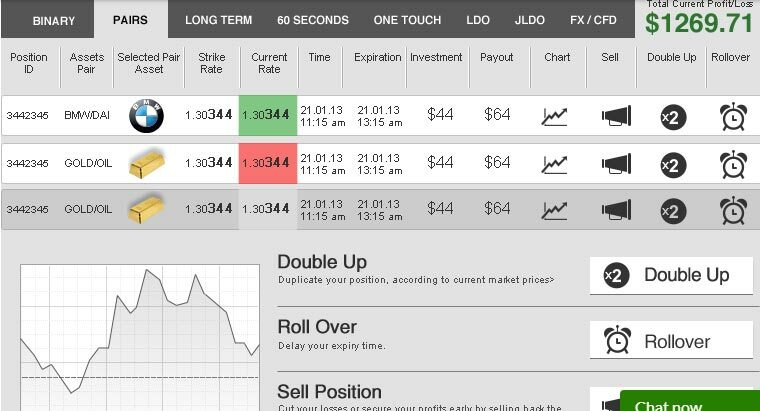 Some binary options robots use BinaryTilt as their preferred broker. If you have access to such robots, then you can trade on BinaryTilt in an automated manner. BinaryTilt is a very reliable and efficient binary options broker. The following trade types are found on the BinaryTilt platform: Pairs, Long Term, Ladder, One Touch, 60 seconds and CFD/FX binary options. BinaryTilt has a strong social media presence. You can connect with them using the Facebook page (www.facebook.com/BinaryTilt) or hook up with them on Twitter (www.twitter.com/binarytilt). There is a YouTube channel as well.